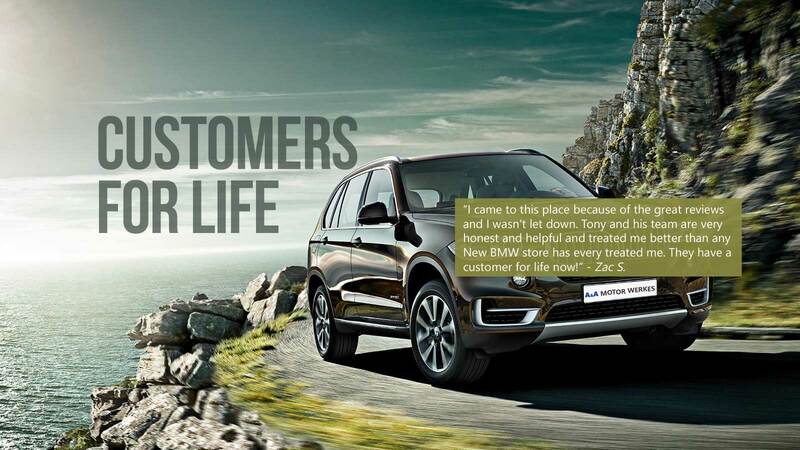 We have been providing expert repair and service on BMW automobiles with a combined experience of over 45 years. 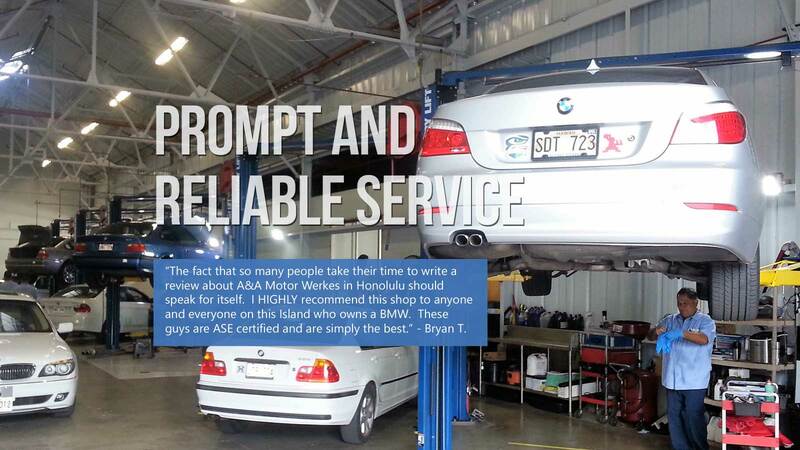 Conveniently located in Honolulu, we have invested in the latest factory tools, training and technology to insure that your BMW is fixed right the first time. 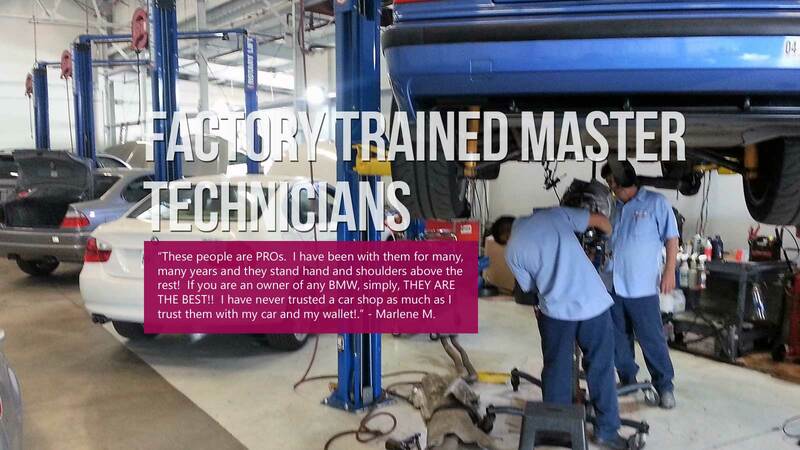 We are BMW factory trained Master Technicians and have all of the right tools to get your car back on the road quickly. 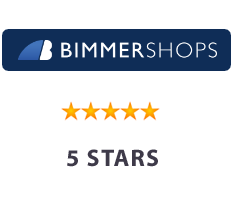 We carry a large inventory of OEM quality parts to insure quick and professional service. Our success is derived from the trust and loyalty of our repeat customers, and the expertise of our Factory trained BMW Master Technicians. We are continually upgrading our training and technology to insure your BMW is properly cared for. 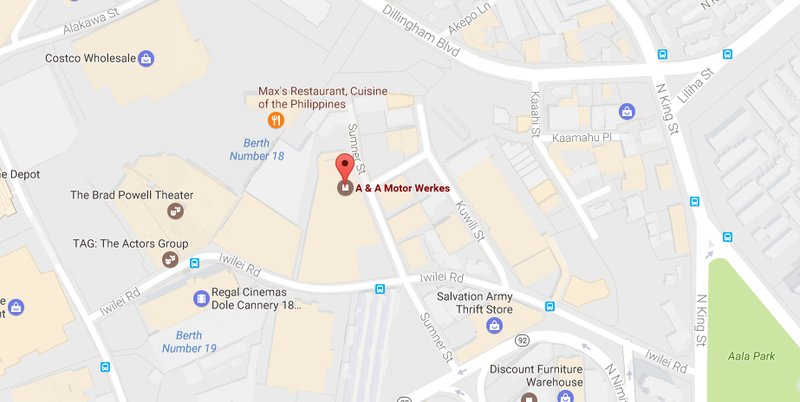 We are Honolulu's Best Value for BMW repair. We provide our customers with personalized attention and do everything in our power to make the maintenance of your vehicle our top priority. Independently operated, we believe in honest workmanship and fair prices. 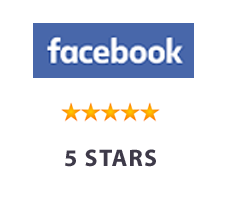 We only work at the highest level of integrity with our customers. 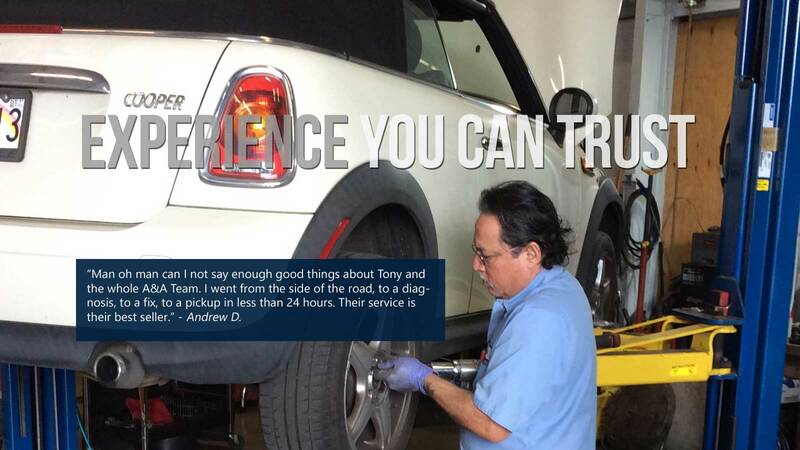 Offering decades of hands-on-automobile experience, we believe in fixing your car right the first time. We use the latest diagnostic tools. Our ASE certified technicians are experienced in diagnosing, repairing, servicing and maintaining your BMW or Mini. Whether it’s a 1980 model or a current model we are prepared to address the proper needs for you and your car. 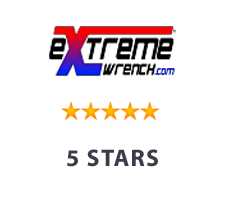 We were recently honored by ExtremeWrench.com as one of the highest rated independent repair shops specializing in the repair of BMW® automobiles. Thank you for voting us "BEST BMW® CAR REPAIR SHOP"! Had to do my starter for E90 2006 325i. Tony and his crew finished it in a couple days no problems. I called ahead and arranged my car to be towed there, there was no issues. 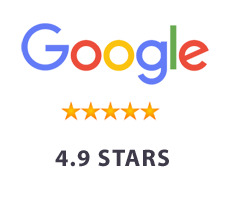 Great services. 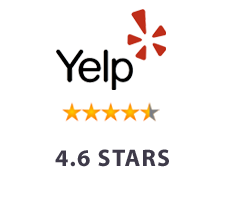 I came to this place because of the great reviews and I wasn't let down!! Tony and his team are very honest and helpful and treated me better than any New BMW store has every treated me! They also charged me a fair price to fix my car. This is by far the best BMW repair shop on island. They have always accurately diagnosed problems with cars that I could not figure out. They actually are trying to help you out instead of just taking your money like some other shops. Albert and the crew are phenomenal. They came through big time on a radiator fan repair on my moms mini cooper. They took us in on short notice, and finished the job lightning fast. Thanks a ton guys, and we will be back!